If you’re wondering what the hell to buy when it comes to a safer sunscreen for you + your family… you are not alone! 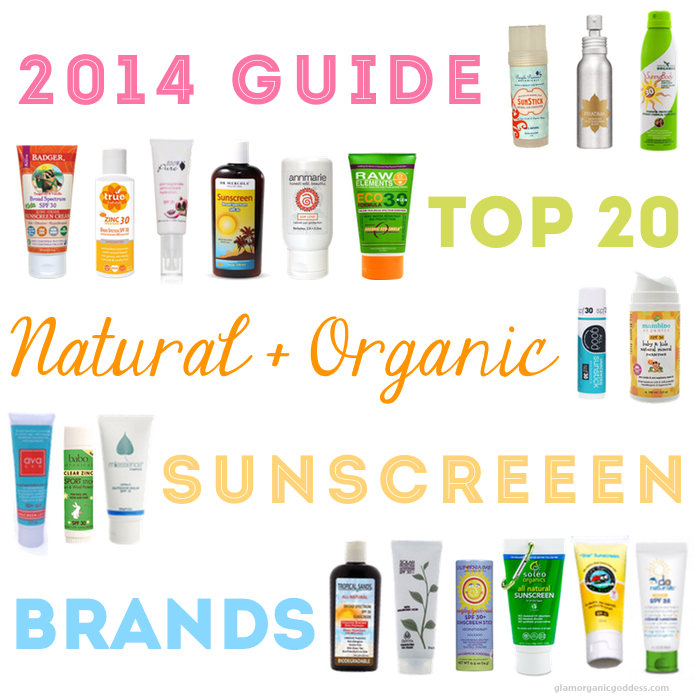 Each year, more + more natural sunscreens are hitting store shelves (yay! ), giving us better + better options! But… this can make it all the more confusing, especially if you don’t know how to read your sunscreen labels or which sunscreen ingredients can actually be toxic. Luckily, I’ve done most of the homework for you + created this little list below! 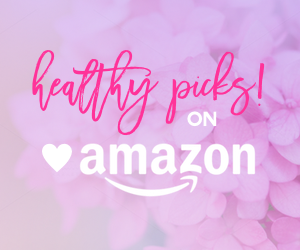 While these may not be the most convenient, or the most glamorous – they’re the best options on the market, in terms of your health. Most natural sunscreens contain one of the following the Active Ingredients: either Titanium Dioxide or Zinc Oxide – or a combo of both! These physical sunscreens often use heavy carrier oils to resist being washed off + come in the form of a creamy, white, opaque lotion. Due to the nature of the ingredients, which vary by brand – these can also sometimes be a little greasy or draggy. On the bright side though, some of the newer ones that contain Zinc Oxide only, can tend to have a little less of a white-ish cast to them + blend really well. Most of the natural sunscreens out there are naturally unscented + to my surprise – I didn’t like the smell of a lot of them. I’m not sure why, but quite a few smelled more like strong (or even rancid) cooking oils you’d keep in your kitchen cabinets (which isn’t a bad thing, since they’re edible!) opposed to the dreamy vacation I was wishing for. Just to be sure, I did check the expiration dates + some of them were even just made. I guess I was expecting more of a cocnutty, beachy smell since so many of them contained such exotic ingredients – like coconut oil, cocoa butter, mango butter, coffee bean + green tea, etc. So just a head’s up! 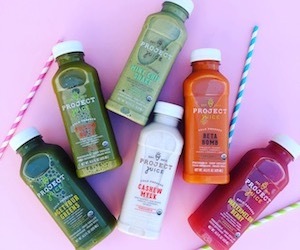 Since I don’t live on a tropical island where I can sunbathe + sip on organic pina coladas 24-7 – 365 (just yet), I haven’t had a chance to try every single one on this list. So, I’m recommending most of these, purely based upon ingredients. While I’d love to post the ingredients like I have in the past – there were way too many sunscreens this year + the guide would be forever long! So, as always, pretty please double-check the ingredients before purchasing as they may change from year to year! Badger Balm – A green beauty cult fave + the best as far as ingredients go. Their lotions are fab, but are currently out of stock until early 2015. Their creams are available + also amazing, but can leave a a bit of a greasy, white cast that can be difficult to blend. Out of the creams, I’ve only tried the Unscented SPF 30 Sunscreen + wasn’t crazy about the scent. I’d definitely get one of the scented ones next time. 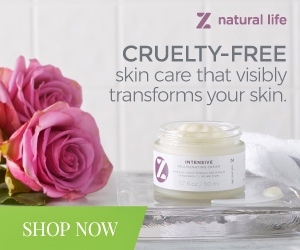 True Natural – One of my faves out of the bunch + my usual go-to when I’m not using Badger! Love the coconutty scent + blendability. Raw Elements USA – Great ingredients, but I wasn’t crazy about the smell. Cream is thick + smooth, blends well, but leaves a whitish cast. They also have a tinted stick version that was a little on the hard side, but I think it’s made that way so it doesn’t melt in the sun. I couldn’t warm it up enough to apply it though. Annmarie Gianni – Tinted facial sunscreen with amazing ingredients, that blends like silk + smells like cocoa! But, I’m disappointed that it has no spf rating (read their thoughts on that here) + that the price is insanely expensive for a sunscreen. Goddess Garden – (Sunscreens only). Another one of my fave brands! Have only tried the SPF 30 Sunny Face Lotion + the SPF 30 Sunny Body Spray. Both go on pretty clear + blend well, with a non-greasy feel – so I think you’d be able to wear them under makeup. And, although it was unscented, I wasn’t a fan of the smell. One thing I need to mention though is that I don’t normally recommend sunscreen sprays due to inhalation risks. But, if you really had to use one – this one would be it! 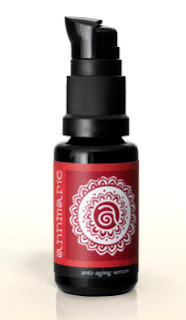 Pratima – haven’t tried this brand yet, but have heard amazing reviews. DeVita – I’ve tried both the Solar Protective Moisturizer SPF 30+ + the Solar Body Moisturizer. 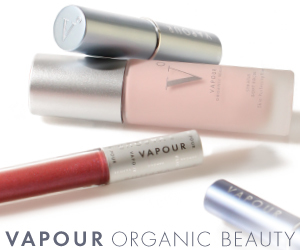 They are both light-weight, go on clear + blend well, with a non-greasy feel. Seems similar to Goddess Garden Organics. Perfect for under makeup. Scent wasn’t great, but better than most. 100% Pure – (Pomegranate Antioxidant Hydration SPF 20 + SPF 30 Sun Stick only). I’ve tried both which blend well, but leave a hint of white behind. 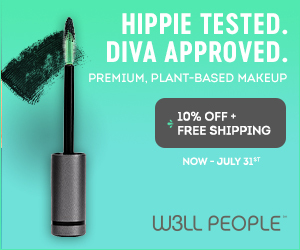 I haven’t tried them under makeup, but it seems like they would probably give you a little drag. The lotion is on the liquidy side + the stick is on the softer side. Wasn’t crazy about the scent. Dolphin Organics – Haven’t tried yet. Poofy Organics – Impeccable ingredients + another one of my faves! I love that everything’s certified organic except the minerals (which can’t be). I’ve only tried the lotion, which is similar to Badger – but it’s a little lighter + has better blendability. Mexitan – (Sunscreen Sticks, Lotions + Oils only). Another great brand with super-simple ingredients! I’ve only tried their SPF 30 Sunscreen Lotion + their Dark Tanning Oil (which has no SPF at all!) + loved both! They have a nice beachy scent. The only thing I wasn’t crazy about was that the lotion had little white mineral specks every now + then that didn’t blend in (no bigggie though) + the oil contains lanolin. 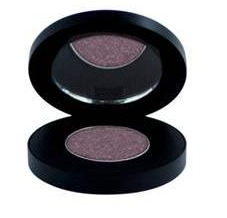 Purple Prairie Botanicals – (Sun Stick + Sun Stuff Lip Balm only). Haven’t tried this brand yet. Babo Botanicals – (Sport Stick only). Haven’t tried this brand yet. Miessence – Haven’t tried it yet. Mercola – Haven’t tried this brand yet, but it seems similar to Mexitan. Elemental Herbs – (Sun Sticks only). Haven’t tried this brand yet. Mambino Organics – Haven’t tried this brand yet. Ava Anderson Non-Toxic – (Sunscreens + Sun Sticks only). Haven’t tried this brand yet. California Baby – (Sunscreen Sticks only). Haven’t tried it yet. Soleo Organics – Haven’t tried this brand yet. *Please note that if it says “only” after the brand name, only those particular products are recommended. If it doesn’t say anything, all sunscreen products for that brand are A-ok! 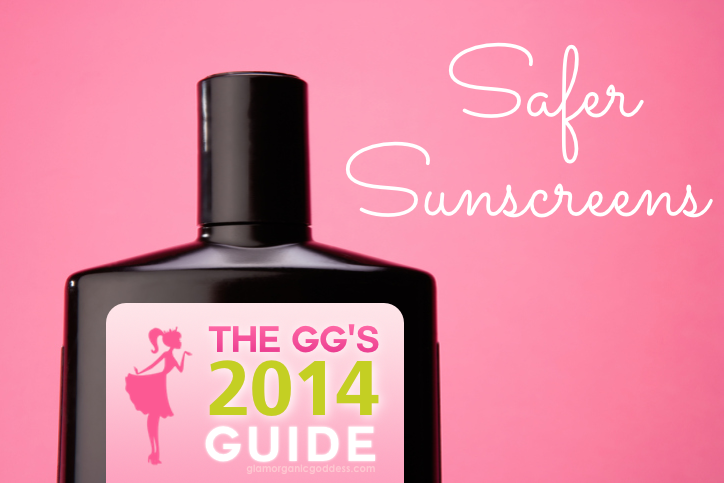 For more info on Sun Safety, check out the EWG’s Guides here. You can also check out The GG’s guides from 2012 + 2013 here! Keep in mind, there’s no sunscreen that compares to the shade of a palm tree, a sassy, wide-brimmed hat, UV sunglasses or tightly-woven clothing. Have you ever tried any of these sunscreens? What did you think? Are there any that should be on here that didn’t make the list? I agree with the Badger review on the smell, but it really works well! Thanks for the comprehensive list!!! If you’re interested in trying a new sunscreen, I’d love to send you a bottle of Protect from the Healthy Home Company to try out. :) Protect SPF 32 Sunscreen is made with purified zinc oxide with the highest rated purity level by the United States Pharmacopeia-1. It provides UVA and UVB protection, contains 8 organic, edible ingredients, is paraben-free and contains no petrochemicals. While I usually have respected their line I find the AnnMarie Gianni Sun Love product to be a real problem as a formulator. They wrote a whole lot of information on their site that, while true, still does not excuse them from proving to customers that their product actually works. Where are their lab tests? SPF ratings DO prove that you sent your formulation to a lab and that it does actually stop a certain amount of rays from reaching your skin. With no SPF rating customers have NO assurance of what level of actual protection the product offers. Formulating with zinc is not as simple as just adding and mixing it into a product. Furthermore as far as I understand they are legally required to have testing done and register their product with the FDA if they would like to market it as sun protection. 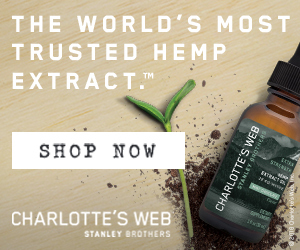 The regulations are complex and testing can be expensive but that does not excuse them and releasing a product without complying is irresponsible. They do not get to just make up the rules themselves – every other suncare product manufacturer goes through testing and while it may not be perfect the regulations have been created to ensure some level of performance. Zinc has a tendency to form aggregate particles which can actually leave the skin more exposed to UV rays than one might believe for having added 20% zinc. This is why testing is important, even if they don’t believe SPF ratings are a full, complete way to evaluate the helpfulness of a sun protection product. http://www.fda.gov/drugs/guidancecomplianceregulatoryinformation/guidances/ucm330694.htm It’s true SPF does not measure UVA protection but it at least tells you something about how effectively the product is bouncing light. The expense of properly testing a recipe is exactly why my brand has not released a sun protection product yet and will continue to hold off until we can prove to our clients that we are actually protecting them. Anything less is a disservice to clients as well as a disrespectful slap in the face to every other company that does go through the process of compliance. This is a great list! I have used the Badger Balm sunscreens (the tangerine/vanilla smells yummy!) and Babo Botanicals (smells like Granny Smith apples), both the cream and stick. Both are great and have prevented my family and I from burning. The Badger Balm is thick and leaves a slight white residue, but the Babo Botanicals is clear. The Goddess Garden spray is good for when you need to get the sunscreen on quickly (or for spot touch ups on kids) and can sustain lengthy outdoor runs! What True Natural formula do you use? I’ve tried Poofy Organics, and I really like it…except for the smell! I would love something that smells coconutty! My son cooperates pretty well when I put sunscreen on him, but if he doesn’t like the smell, it can be a battle. Maybe this would be a good brand for him. Thanks for the info! I have the 100% Pure Green Tea SPF as well as their Argan Oil SPF. Not sure if they did not meet your criteria or if you just haven’t tried them but I thought I’d share – both have fine for my combination skin. No greasiness and both work fine under make up. The Argan oil formula is a little thick and the Green Tea formula leaves some whitish residue though. I’ll have to try one of your recs. Thank you so much Danielle! I really appreciate you explaining this to me. Great post and great review! Now I won’t worry what sunscreen to pick out since there are 20 of them listed here that are safe and all organic. Thanks for all you do!! I learn so much from you!! It is so hard for me to find a good sunscreen that protects me good with good ingredients. I think I am going to buy one online! This is an awesome list, great to keep for later when I want to try something new! As for the Goddess Garden spray, I’m not sure if they changed the type of spray bottle, but I had the opportunity to try it out last year and it was not a continuous spray. It was pretty much just a more “liquidy” version of their lotion in a spray form. I don’t think there’s much chance of inhalation. 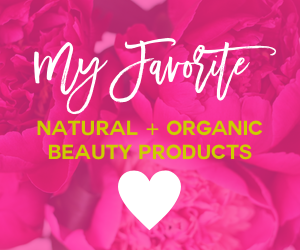 I also really love Loving Naturals…you don’t have it on your list, but I always go back to this brand. 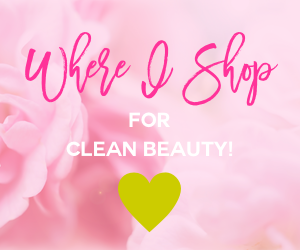 It’s full of lovely oils which absorb really well and every time I’ve used it, I’ve never gotten burned, which living in South Florida says a lot! Thanks Robin! :) I know they’ve cleaned up their ingredients since last year (YAY! ), so maybe they’ve changed their spray bottle too! I think the inhalation risk is when it’s sprayed on, or near your face… like lots of mom’s tend to do with kids. I have the continuous spray + it actually does spray pretty continuously, which I love! Right now I use badger balm …as you said it’s really a little bit greasy on face..also the scent is not my favorite .. Thanks so much for putting this together, Danielle! I recently had a request from a fair-skinned friend for a custom order of sunscreen and I was very happy to be able to point her directly to this blog post to find reliable + natural sunblock alternatives! I switched to Ava Anderson Non-Toxic’s avaSUN line about a year ago, and I’ve loved it. I have fair, sensitive skin, and it’s worked really well for me. I also love that they offer SPF lip balms, a formulation for the face (no white residue! ), and a super convenient sun stick. Moms I know use it for their kids on the go and say it’s a life saver! My family loves Ava Anderson non toxic sunscreen and sunsticks, works amazingly well! I am currently using Derma E Antioxidant Sunscreen with SPF 30 and it’s almost perfect for me. I only wish their zinc oxide content is higher. My favorite is still Marie Veronique Moisturizer with SPF 30–it has 20% zinc oxide. Was thinking of getting AnneMarie Gianni but now a bit wary cos of the lack of SPF rating. Their zinc oxide content is 16 or 18% if I remember correctly. Hi, we would love to send you some Beauty by Earth sunscreen to try out. It is completely natural and organic and is SPF 25. Organic Aloe Barbadensis (Aloe Vera) Juice, Organic Carthamus Tinctorius (Safflower) Seed Oil, Glyceryl Stearate, Vegetable Glycerin, Organic Castor (Ricinus Communis) Oil, Coconut Oil, Cetyl Alcohol, Organic Butyrospermum Parkii (Shea) Butter, Organic Argania Spinosa (Argan) Oil, Organic Simmondsia Chinensis (Jojoba) Seed Oil, Tocopheryl Acetate (Vitamin E), Organic Green Tea Extract, Organic Cucumis Sativus (Cucumber) Extract, Organic Vanilla Planifolia (Vanilla) Fruit Extract, Xantham Gum, Potassium Sorbate, Natural Frangrance (Essential Oil and Plant Based). 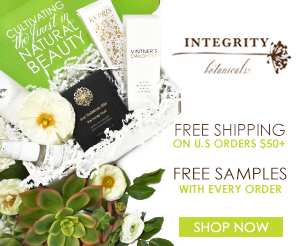 You can check it out on http://www.beautybyearth.com but we would love to send you some to try out. Maybe you are doing a 2015 guide? We also have other products we would love you to try. I have been using DeVita on the strength of the EWG’s reviews, but it dries and leaves little white flecks on EVERYTHING. Wow – happy to have found this Danielle – great job! We do love Badger, but some people want a sunscreen that goes on lighter more like lotion. Do you know if True applies more like a lotion, rather than a cream? And yes – cannot wait..Badger’s SPF lotion is do out later this month – woo-hoo!